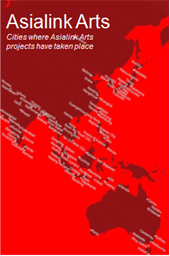 During this time Asialink Arts became the largest organisation in the country focused on projects with the region. It had central support from the Australia Council of the Arts, the Australian Department of Foreign Affairs and Trade, and all Australian State and Territory Governments. By 2010 it was the recipient of the highest funding from the Australia Council of any Austalian arts organisation (outside the clients of the Major Performing Arts Board).